Jonathan Ingram knows that an important first step in caring for his patients is listening to their stories. As a board-certified, psychiatric mental health nurse practitioner, Ingram has years of experience providing care locally for patients with anxiety, depression, or related mental health concerns. 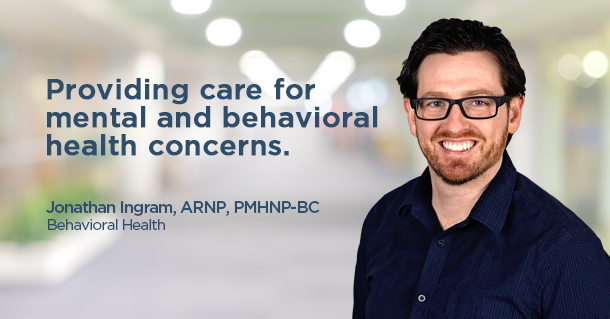 Ingram’s care philosophy fits well with the other team members at Samaritan’s Behavioral Health Services—as well as with Family Medicine providers and referring physicians. Together, they offer comprehensive care for the whole person, close to home and close to healing.